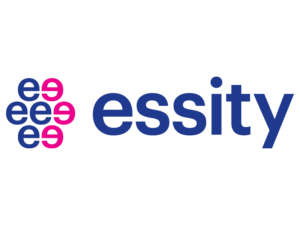 Essity is a leading global hygiene and health company dedicated to improving well-being through our products and solutions, essentials for everyday life. The name Essity stems from the words essentials and necessities. 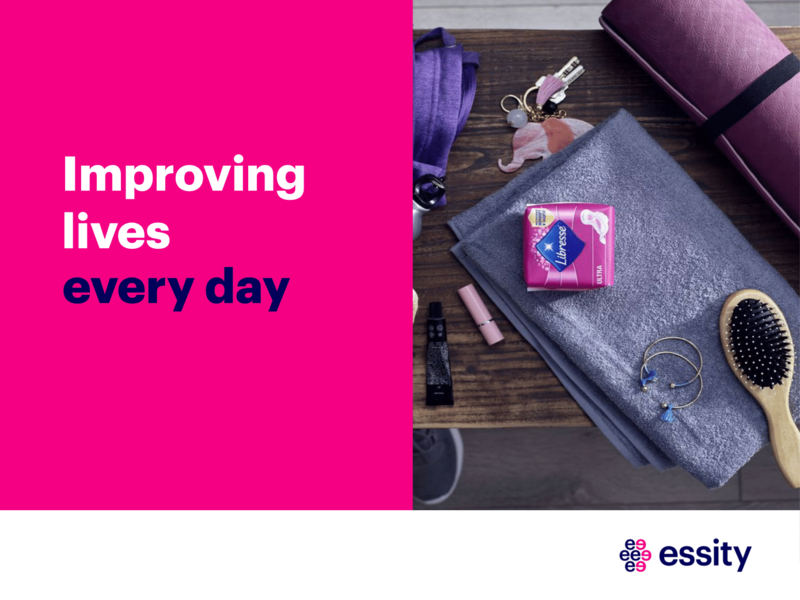 Sales are conducted in approximately 150 countries under the leading global brands TENA and Tork, and other strong brands, such as Jobst, Leukoplast, Libero, Libresse, Lotus, Nosotras, Saba, Tempo, Vinda and Zewa. Net sales in 2017 amounted to approximately SEK 109bn (EUR 11.3bn). The headquarters is located in Stockholm, Sweden, and the company is listed on Nasdaq Stockholm.